High dietary salt intake is a risk factor for hypertension and a public health challenge worldwide. 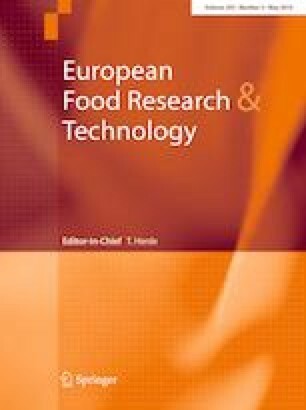 The aim of this study was to evaluate the effects of salt substitutes on the safety and quality of selected fish products, i.e., Matjes nordische Art and cold-smoked salmon. Sodium chloride was replaced by various salt substitutes including potassium chloride, potassium lactate, and commercial salt substitutes. Fish samples were characterized comprehensively with regard to microbiological, physico-chemical, and sensory parameters. During storage for 4 weeks at 3 °C, the commercial reference product of Matjes nordische Art (5.2 g salt/100 g) and the sodium-reduced samples (2.7–3.7 g salt/100 g) did not differ significantly (p < 0.05) with regard to aerobic and anaerobic mesophilic counts, organoleptic properties, texture, color, and the growth of Listeria monocytogenes. Moreover, 61 consumers did not discriminate in liking between the reference product and the reformulated samples. During storage for 3 weeks at 6 °C, sodium-reduced samples of cold-smoked salmon (1.4–2.3 g salt/100 g) did not differ significantly from the reference product (2.9 g salt/100 g) with respect to aerobic and anaerobic mesophilic counts, odor, and the growth of L. monocytogenes (at 7 °C). This study indicates the scientific feasibility of a product reformulation of these fish products under laboratory conditions. Before a market launch of the reformulated fish products can be considered, product development trials under real-life conditions including long-term storage trials at retail level will be necessary to meet product-specific safety and quality requirements. The online version of this article ( https://doi.org/10.1007/s00217-019-03277-1) contains supplementary material, which is available to authorized users. The project was supported by funds of the Federal Ministry of Food and Agriculture (BMEL) based on a decision of the Parliament of the Federal Republic of Germany via the Federal Office for Agriculture and Food (BLE) under the innovation support programme. The authors would like to thank Friesenkrone Feinkost for producing the Matjes nordische Art and for their technical advice. We also thank the KIN GmbH as well as Kai-Uwe Scholibo, Isabel Delgado Blas, Sven Blechner, and Svenja Feuerhahn for their technical support. We would like to thank Jungbunzlauer for providing sub4salt®. The project was supported by funds of the Federal Ministry of Food and Agriculture (BMEL) based on a decision of the Parliament of the Federal Republic of Germany via the Federal Office for Agriculture and Food (BLE) under the innovation support programme. The funding source had no involvement in the conduct of the research and the preparation of the article.